Prime Minister Benjamin Netanyahu said on Tuesday that an electronic fence along the Israel-Egypt border has saved the Jewish state from terrorist attacks or what he believes would be worse -- a tide of African migrants. 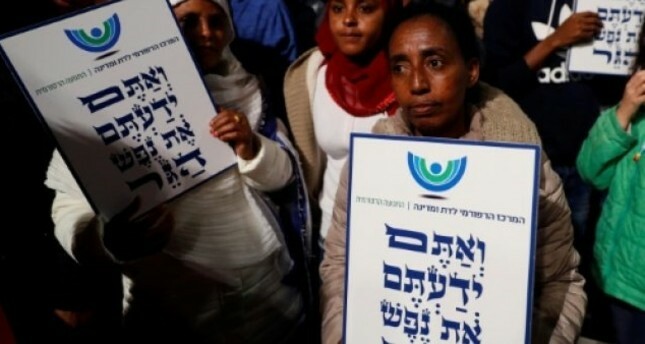 "Were it not for the fence, we would be faced with... severe attacks by Sinai terrorists, and something much worse, a flood of illegal migrants from Africa," Netanyahu's office quoted him as telling a development conference in the southern Israel desert town of Dimona. They began slipping into Israel illegally in 2007 through what was then a porous border with Egypt's lawless Sinai region. The frontier with Israel's Negev desert has since been given a 200-kilometer (124 miles) high-tech fence and the influx has halted. "We are talking about a Jewish and democratic state, but how could we assure a Jewish and democratic state with 50,000 and then 100,000 and 150,000 migrants a year," Netanyahu said. "After a million, 1.5 million, we might as well shut up shop," he added. "We did not close down, we built a fence." Today the mountainous Sinai is a battleground between the Egyptian army and Daesh terrorists. The army launched a campaign on Feb. 9 after Egypt's Abdel Fattah al-Sisi, who is standing in elections this month for a second term, gave it a three-month deadline to crush Daesh in the Sinai. Sisi issued his ultimatum in November after suspected Daesh gunmen killed more than 300 worshippers at a Sinai mosque associated with Sufi Muslim mystics.